PESSAT 2018 is an All India Exam for admission to PES University. PESSAT 2018 for B.Tech will be held in the month of May 2018, and for non-engineering courses, the admission test would be held from January 2018 to July 2018. After filling the PESSAT 2018 application form, the candidates can select one exam date as per their convenience and availability through slot booking. The test will be held in 42 test centres in India for admission of candidates in B.Tech. However, the PESSAT for Medicine, Management, and Life Sciences will be conducted only in the PES University, Bangalore. Candidate must note that PESSAT 2018 will not be considered for admissions to P.E.S. Institute of Technology (PESIT) South Campus, P.E.S. Institute of Medical Sciences and Research (PESIMSR) & PES Central Campus. PESIT South Campus will continue affiliation with Visvesvaraya Technological University (VTU), Karnataka. 60% marks in Science Stream (Physics, Chemistry, and Mathematics) in 10+2 or equivalent from a recognised board. 60% marks in 10+2 in any stream or equivalent from a recognised board. 10+2 or equivalent in any stream from a recognised board. Aggregate 50%marks in10+3 Diploma (any stream) recognised by Central/ State Governments. 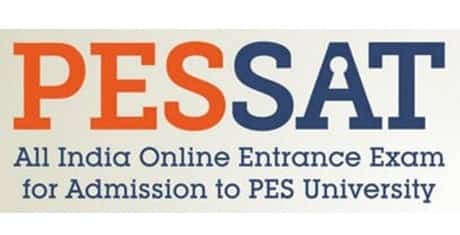 PESSAT Application process has started, the candidates seeking admission into the PES University have to fill the application form and have to appear in the test. The application form can be filled only through online mode. The link to fill the form to appear in PESSAT is given below. The application process has started, the candidates willing to appear in the PESSAT to secure a seat for their favourite course in PES University need to fill the form. To avoid the mistakes while filling up the form, the candidates are provided with the steps. STEP 1: Register on the official website of PESSAT. STEP 2: After registering candidate has to fill in the name of the course applied, His/her name, Gender, Date of Birth, Email-ID. When you fill in the brief details, click on Confirm button to get a Personal Detail Page. Candidate's Blood Group, Category, Citizenship, Educational qualification, details of qualifying examination; marks, place of residence, family income, and Contact number to name a few. Candidate will also have to specify whether he/she is applying through PESSAT, GOI (Govt. of India), J&K (Jammu and Kashmir), and NRI/PIO/FN (Foreign). Select three test centres preferences. STEP 4: Upload scanned copy of a recent photograph. The candidates have to upload their recent photograph (not more than six months old). STEP 5: Payment and Submission: The application fee can be paid either online using Credit Card/ Debit Card/ Net banking or through DD. And after that, the candidates have to submit the form. The PESSAT Admit card will be available after the slot booking and will have details about the test centre, exam date, and venue.The PESSAT exam would be conducted on different dates. Thus, the candidates have to book a slot to appear in the exam. They can choose the exam date as per their convenience. The candidates should book the slot, download the admit card and carry it to the examination centre. Candidates should also bring two passport size photographs on the day of the exam. The candidates applying for PESSAT have to pay the application Fee of Rs. 1050. PESSAT Result for the BTech course is expected to be declared in the last week of May 2018. However, the result for the all other courses would be declared 3 days after the exam. After the declaration of the result, the candidates would be called for the Personal Interview and then for the counselling. The counselling will be held in June 2018. The candidates who will not be able to attend the counselling in person, they will have to authorise somebody else to attend counselling on their behalf. Only candidate/ parent/ guardian would be allowed for the counselling.The candidates have to download the authorization letter and submit beforehand. A copy of fee receipt and DD’s. Marking: 1 marks for each right answer. No negative marking. PESSAT for all the Non-engineering programs will be conducted only in PES University Campus, Banglore.